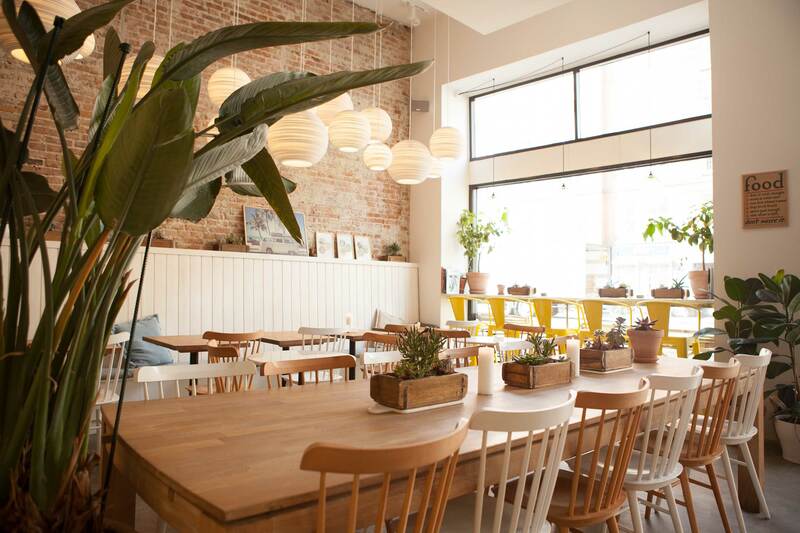 California Kitchen is a fast-casual healthy lifestyle restaurant based in Copenhagen, Denmark that provides a unique and distinguishable California experience by way of taste, hospitality and design. Our mission is to build a responsible brand serving nutritionally rich, environmentally balanced and delicious whole foods that inspire and enable healthy lifestyles, while being convenient and economical for all. Come visit us, and put together your own bowl. Our founder Cameron Bergh, was born and raised on an organic farm in the US. After recently living in San Francisco, California, for several years, he decided to move to Copenhagen with his half Danish wife, and bring a bit of the California vibes with him. From Day 1 the focus at California Kitchen has been to create an authentic California experience through naturally satisfying whole foods, fast casual friendly service and an energizing atmosphere. Only accepting reservations for groups of 6 or more people.